Use your iPad as a flash drive. 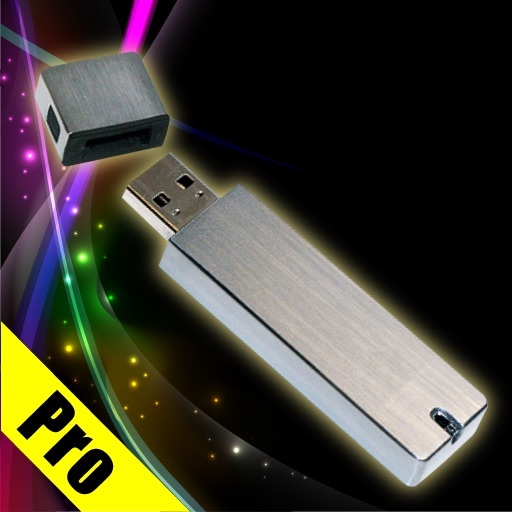 “USB Flash Drive Pro for iPad” brings the solution of your problem of data storage needs. 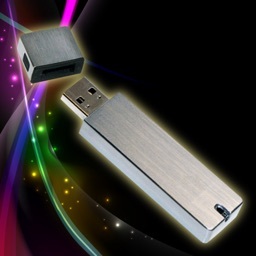 Need a flash drive right now but you haven’t? Just simply use your iPad for fulfilling your need with this amazing app. Now you can keep all of your important information with you whenever you want. You will no longer have to fear leaving your flash drive behind. 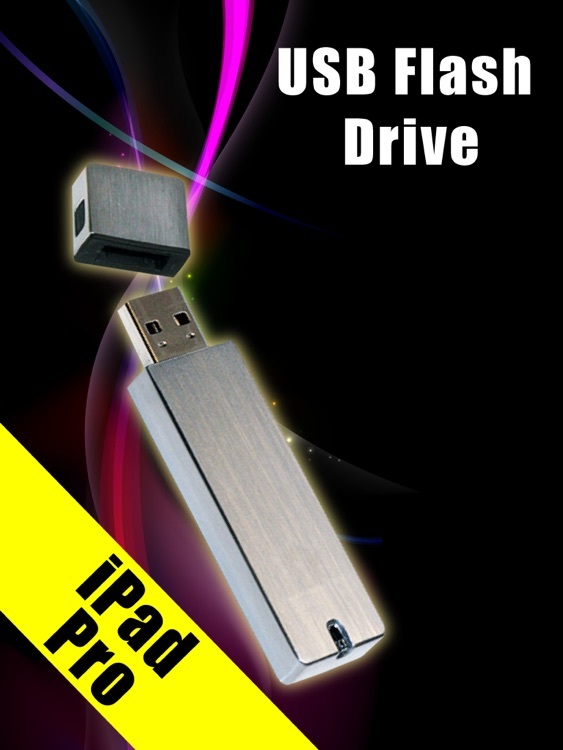 “USB Flash Drive Pro for iPad” can hold all of your available space of your iPad. As well you can store any kind of file, like:Word,Excel,PowerPoint, PDF, HTML, JPEG, GIF, PNG, TIFF, WAV,MP3, VOB, M4R, 3GP, AVI and all other common formats what you want. - Use the iPad’s available disk space to carry any files. 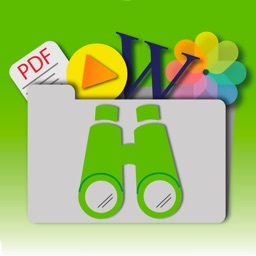 - You can remove files directly from your iPad. As well as you also can remove files from iTunes by just selecting the item and then by pressing “Delete” key from your keyboard. - No need to connect with wireless network. 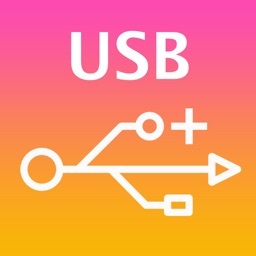 Step 1: Connect your iPad to iTunes with the USB cable. 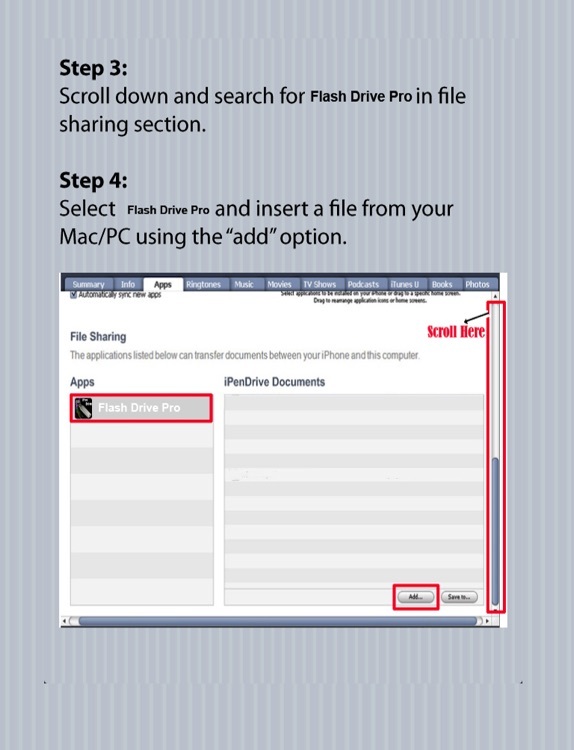 Step 3: Scroll down and search for “USB Flash Drive Pro for iPad” in file sharing section. 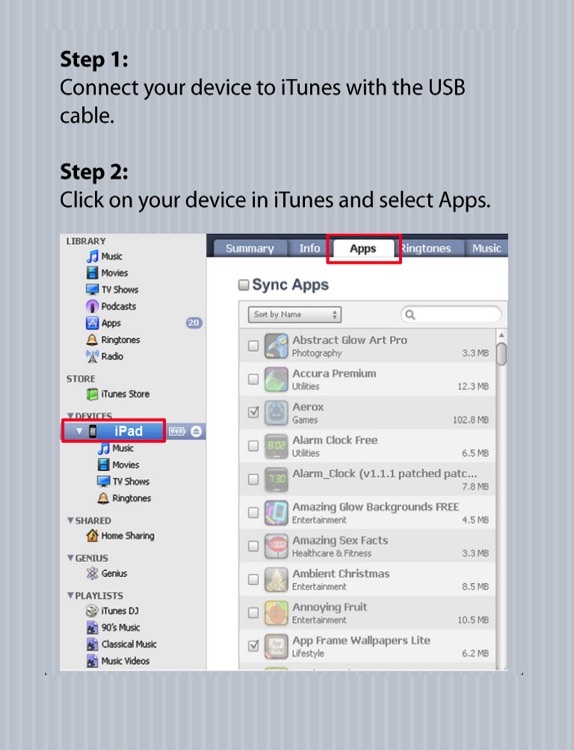 Step 4: Select “USB Flash Drive Pro for iPad” and insert a file from your Mac/PC using the “add” option. 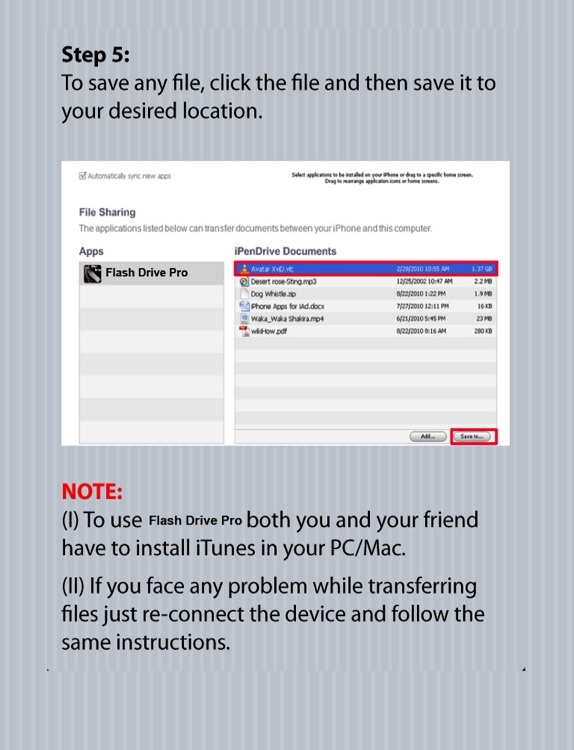 * To use “USB Flash Drive Pro for iPad” both you and your friend have to install iTunes in your PC/Mac.